Southeast Alaska: Officials Continue to Press Canadian Government on Transboundary Mining By MARY KAUFFMAN - Following a trip to Ottawa, Canada earlier this year, U.S. Senator Dan Sullivan and Alaska Lieutenant Governor Byron Mallott announced today their follow up with senior officials in the Canadian government to continue to raise the issue of transboundary mining impacting Southeast Alaska. In a recent letter addressed to the Canadian Minister of Environment Catherine McKenna and Minister of International Trade James Carr, Sen. Sullivan and Lt. Governor Mallott thanked the Canadians for their attention to transboundary mining issues while also stressing several key areas of concern that require continued attention. “While Alaska, British Columbia, the U.S. Department of State, and Global Affairs Canada have been working well together on a path forward, including conducting water quality surveys and exploring monitoring options, there is much progress that still needs to be made to address mutual concerns,” wrote Sen. Sullivan and Lt. Gov. Mallott. The Taku, Stikine and Unuk are world class transboundary rivers whose headwaters are located in British Columbia and flow into Southeast Alaska. These rivers harbor iconic salmon and other fish populations and the greater watersheds, nearly the size of Maine, have been center of culture, commerce and biodiversity for thousands of years. The rivers are not only important for their wildlife, people, and history but today they are significant contributors to the regional economy. These rivers account for $48 million in economic activity each year and are also significant contributors to the commercial fishing and tourism industries drawing $1 billion annually. The United States already protects these waters under environmental laws. For years the British Columbia government has authorized large scale, hard rock mining developments upstream of these watersheds. 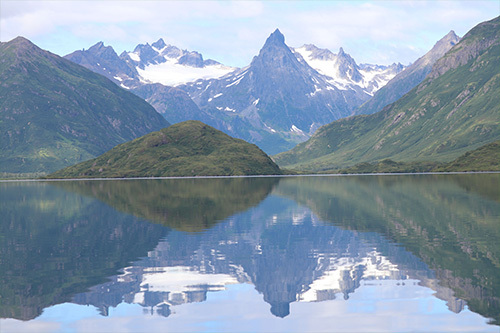 There are at least ten open-pit and underground metal mines in various stages of development with some of these legacy mines contribution to releases of hazardous material that could have impacts on the downstream ecosystem in Southeast Alaska. As an example, the letter mentioned the Mount Polley mine's tailing dam failure in 2014 releasing approximately 24 million cubic meters of waste. 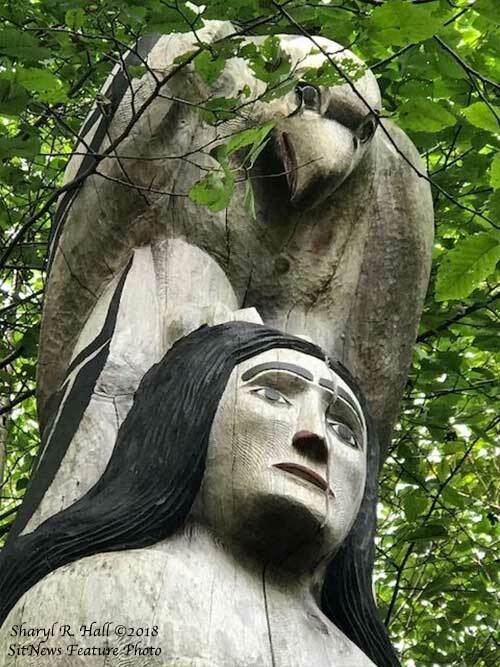 Sullivan and Mallott wrote in their letter that these developments pose real concerns to communities downstream even as British Columbia is works through options to clean up legacy sites while at the same time permitting new developments. Earlier, to address these issues, the State of Alaska and the Province of British Columbia entered into a Memorandum of Understanding aimed at increasing coordination and transparency as the governments work to protect these watersheds. Both governments have also developed a Statement of Cooperation. These agreements established a bilateral working group. The Salmon State: Upriver during a record year at Bristol Bay By MARY CATHARINE MARTIN - As fishermen leave Dillingham and canneries shut down, the Wood River system in the Bristol Bay watershed brims with sockeye salmon. The second week of August, I got to spend several days upriver. Sockeye schooled at the mouths of small streams off the lake system, their fins cutting through the water. They choked ankle to knee-deep streams more narrow than the width of your dining room table. Females dug redds in the same part of the streams they were born in, fighting off both other females and undesirable males. The bodies of those who arrived before them littered the banks, and as later fish dug redds, unearthed eggs floated downstream, snapped up by opportunistic rainbow trout and arctic char. And just above the surface, scientists were there to study the fish as they have been each year since 1946, when the University of Washington’s Fisheries Research Institute — now known as the Alaska Salmon Program — was established at the request of several Bristol Bay canneries. I was up at two of the camps — Lake Nerka, (“nerka,” fittingly, is the Russian name for and the second part of the scientific name for sockeye salmon) and Aleknagik (Nerka is known locally as Second Lake and Aleknagik as First Lake). Over the course of my week there, I helped take genetic samples of fish, went all the way up to Kulik Lake (Fifth Lake, the farthest lake salmon can reach in the system), and learned a lot. Every year, even those who have been coming for more than two decades learn something unexpected, said University of Washington Professor of Aquatic and Fisheries Sciences Daniel Schindler, the scientist who was nice enough to invite me along. Regardless of how technology develops, there are things scientists see when they’re present in a watershed that would never come across if they studied, say, by drone. A few recent surprises? The Wood River system has had some “massive caterpillar outbreaks” in recent years. “Birds, bears, rainbow trout, grayling — all of them are just packed full of caterpillars,” said Schindler. 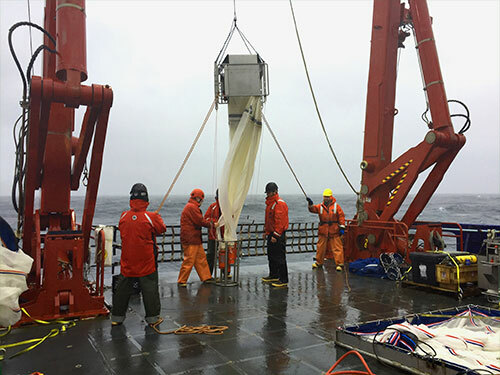 Researchers and crew deploy different kinds of nets off the side of Sikuliaq to collect plankton from the water. Alaska: Part 4: Sikuliaq researchers find odd, abundant animal-plant plankton By LAUREN FRISCH - Imagine you are on a rocking ship out in the Gulf of Alaska attempting to capture your ultimate research nemesis: the single-celled protist. Equipped with a microscope and a glass tube that is drawn out to a fine point at the end, you chase this cell around a small container of seawater. The motion from the boat is not working in your favor. But eventually, you are able to capture the cell and transfer it to a well plate, a flat plate with lots of small holes that can hold tiny samples in a bit of filtered seawater. Since you really just want to study this one protist, you need to rinse it off, small as it is, to make sure it’s not surrounded by other organisms along for the ride. Then it’s back to square one: you need to capture your protist again before finally storing it in a small amount of water and fixative. The ability to conduct this procedure on a ship like Sikuliaq, to isolate these cells and preserve them quickly after they have come out of the ocean, allows researchers like Western Washington University’s Suzanne Strom to make some pretty radical observations about life at the bottom of the food web in the Gulf of Alaska. In planktonic communities, both the producers and the primary consumers are mainly single-celled protists. Strom was particularly interested in focusing on a group of protists that have figured out how to both make their own food and successfully eat and digest their friends and neighbors. Researchers are calling them mixotrophs. Because of this flexible eating structure, mixotrophs are likely to be more resilient when food is scarce or weather is dark or cloudy, which means that animals higher up in the food chain are likely to have a more stable food source, even if environmental conditions are fluctuating. Phytoplankton are the protists that make up the base of the food chain. They use chloroplasts — specialized compartments containing high amounts of chlorophyll — to photosynthesize and make their food out of carbon dioxide. TOM PURCELL: Why Homeownership Pressure Is Good - Younger generations buying fewer homes than prior generations is not good for America. Which means many millennials are missing out on the misery of home ownership. The quaint cottage-style house I've owned for 22 years has given me grief from day one. The latest incident involved my pressure washer. I have a lot of grounds to maintain. A pressure washer is essential. A few years ago, I bought the best one I could find at a big-box store. It worked fine until this spring, when it went drier than the Mojave Desert at high noon. I determined that the hose was the likely culprit - that something had collapsed inside, preventing water from flowing freely. I drove to the big-box store, where I was greeted by a highly knowledgeable and enthusiastic pressure-washer expert - Ha, ha! That didn't happen. It took me several minutes to find anyone who worked there. One fellow told me which parts to buy. Back home, I immediately discovered he'd sold me the wrong parts. MICHAEL SHANNON: Time for the Rest of Us to Unfriend the Media - The news media has a shaky grasp of the Constitution. It's true the 1st Amendment promises freedom of the press, but the Constitution does not promise immunity to criticism. President Trump is free to voice his opinion of journalists. One could certainly make a case that when the president called the opposition media "enemies of the people" he was going too far, even though the phrase originally came from leftist hero Maximilien Robespierre. What do we call a national institution that seeks to amplify, if not generate, discord? 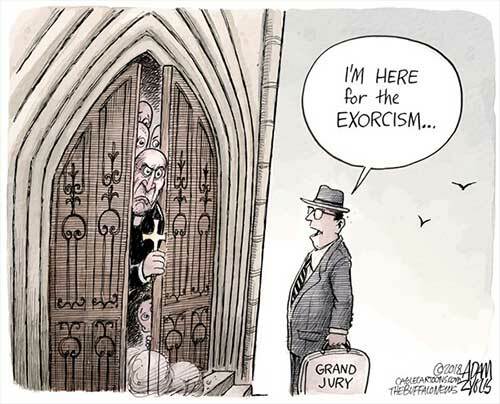 An institution that works overtime to delegitimize law enforcement? A collection of self-appointed cultural monitors that holds average citizens and, particularly those who are white, in utter contempt? Impressed with Treadwell By Michael Kingston - As an maritime and insurance legal expert who has worked on Arctic issues for many years, I've built ties with people around the ocean at the top of the world. Our common bond is this: we need to make sure fisheries, subsistence whaling, walrus and seal hunting and people who live off this ocean are protected while the ocean opens up to shipping. No On Craig Property Tax Ballot Measure By Bob Claus - There is a ballot measure to eliminate the property tax in Craig. No one likes paying taxes, but this is a bad idea. As a taxpayer in Craig and former president of the school board, I value the services that my taxes help support. A full local contribution to the Craig Schools lend a stability to the school budget that other districts lack. This has allowed the Craig Schools to excel and provide the services our kids deserve. Vote Tuesday By Mary L. Stephenson - On Tuesday, August 21st we have a Primary Election for House District 36. Dan Ortiz, Trevor Shaw and Ghert Abbott are vying for the Representative seat in Juneau. If you are reading this letter in the news, it means you read the newspaper. It also means you track the opinions of others who submit their letters to the Editor. One being, Ghert Abbott. On August 21st Primary: Vote for a Full Permanent Fund Dividend and a Full Progressive Income Tax By Ghert Abbott - My name is Ghert Abbott, I am the Democratic candidate for state house in District 36: Ketchikan, Saxman, Metlakatla, Wrangell, and Hydaburg. The Democratic primary is August 21st. I stand for a full Permanent Fund Dividend, a full progressive income tax, an increase in oil tax revenue, and an end to all the austerity measures that are strangling our state’s future.